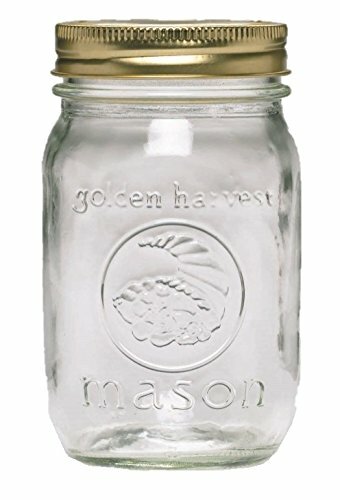 Are Mason Jars Microwave Safe? Yes, but depending on the age of your jar, you may not find the microwave safe symbol. The lids and rings used on Mason jars contain metal, so they cannot go in the microwave. While microwave safe glass is non-reactive, it will pick up heat and can make it dangerous to get hot containers out of your microwave. Proceed slowly, stir often and be prepared to use a hot pad or towel to help extract your food. While the jars can last for years, the lids and rings of Mason jars can corrode, making the jar hard to get into and the food inedible. Plastic lids are available for many sizes. Glass doesn’t flex well. It’s important to never put anything in a Mason jar in the microwave when fully frozen. As the glass heats, the heated portion of the jar can expand slightly and shatter under the stress. You can easily thaw the contents of a mason jar by placing the jar in a basin of cool water and changing it frequently. It may take some time, but it is preferable to facing a messy, dangerous microwave. Microwave safe glass will save you having to handle a hot container when pulling your food out of the microwave. It’s particularly important to check for this label when microwaving colored glass containers. While plastic containers will flex in the freezer, glass containers don’t tolerate pressure well. To freeze food in Mason jars, you’ll need to place it in the freezer with the lid loose until it starts to set up. The construction of a Mason jar included the first ever threaded neck. Greenbaum and Rubinstein point out that this threaded neck greatly improved the seal quality of preserved goods, making it easier to keep home canned foods safe for long term storage. Additionally, glass of Mason jars was manganese-bleached, keeping it crystal clear and making it easier for home cooks the check the quality of their canned goods in storage. Gardeners and home canners have long known that Mason jars offer exceptional food storage and easy cleanup. However, even if you’re not planning to seal your Mason jars, you can still use these handy containers for leftover storage.